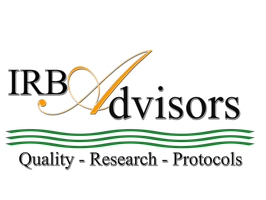 Who we are - IRB Advisors, Inc.
IRB Advisors, Inc. is dedicated to facilitating ethical research while protecting and maintaining the health of human research participants and our communities. Driven by our commitment to fostering productive relationships nationally and globally our specific purpose is to provide expert guidance and resources when designing, implementing, managing or evaluating human research protection programs. Guided by this mission, our network of highly accomplished experts from all facets of the regulatory landscape including, scientists, physicians, attorneys, IRB administrators, are well equipped and are available as needed for specialized service plans. Ms. Dadas has more than 20 years of experience leading IRB’s, Human Research Protection Programs (HRPP), research and regulatory compliance. Her prior accomplishments include successfully developing and overseeing Princeton University’s Human Research Protection Program (HRPP). Prior to joining Princeton, Andrea's roles have included administration of 8 University Institutional Review Boards (IRBs); a commercial IRB for review of industry-sponsored research; a comprehensive education program for researchers, IRB members, faculty and research staff; an audit/review program; and an IT support program for the Human Subjects Protection Program enterprise (HSPP) at Rutgers University. She has managed or lead research and program evaluation, social behavioral and biomedical research efforts at the Centers for Disease Control and Prevention, Yale University School of Medicine, the Veterans Affairs Medical Center, Vanderbilt University, Columbia University, Albert Einstein School of Medicine, among others. Andrea frequently lectures on the complexities of the regulatory landscape and actively promotes ethical research conduct, through education, development of quality HRPP programs, and timely IRB review services provided by IRB Advisors, Inc. She received a Master's Degree from Stony Brook University and her Bachelor's Degree from City College of the City University of New York. Ms. Bellas is an Electronic Research Administration and Global Strategic expert with over 15 years experience in the Grants, Contracts and Compliance arenas. She is an established thought leader and speaks globally on Research Administration topics of Ethics, Process Improvement, and Crowd Funding for NCURA, SRA, ARMS and ARMA. She held the position of Manager of the Office of Sponsored Research at Seattle Children’s Research Institute. While at SCRI, she led her team through the Continuous Process Improvement conversion. Prior to her work with Seattle Children’s Research Institute, Cynthia was the Chief Grants Officer at Anthem Grants and Advocacy in Seattle. She along with Former Secretary of the State of Washington Ralph Munro (1981-2001) worked at Anthem to provide their clients with cost effective contract services designed to secure critical Federal, State and Foundation funding in support of their institutional missions. Cynthia serves on the Kitsap Humane Society Board and is a graduate of Bryn Mawr College and the University of Pennsylvania. Ms. Reid has more than 10 years of experience with IRBs and regulatory affairs. As a regulatory attorney, she has served as key advisor for several universities in compliance areas relevant to sponsored research and higher education institutions such as FERPA compliance, ADA compliance, Effort Reporting, HIPAA compliance, Export Controls, human subjects research protections, animal subjects research protections and intellectual property protections. Ms. Reid also spends time as a professional mentor to young women from various cultures on how to manage both personal and professional development as they move ahead in their careers. She is a graduate of Crichton College, and the Cecil C. Humphreys School of Law at the University of Memphis. Dr. Baskaran has experience as a clinical research scientist with extensive medical and regulatory affairs expertise. She had held positions at major medical and educational institutions with significant roles providing ethics consultation. She serves as a voting member on IRBs and has authored various publications. Dr. Baskaran completed her Doctor of Medicine degree at Tbilisi State Medical University (TSMU), a Master of Science in clinical research at Medical University of South Carolina, and a fellowship in clinical research ethics at South Carolina Clinical and Translational Institute. Mr. Siles is an Information Technology professional with over 20 years experience in the fields of telecommunications, networking and computing processes. He is also an avid entrepreneur who has successfully ran domestic and international businesses in the areas of medical devices, exporting, real estate, publishing and business management. Max holds a Masters degree in Science of Management from Thomas Edison State College and a bachelor's of Science degree in Networking and Telecommunications Management. For more information about our services, contact ﻿Client Services.